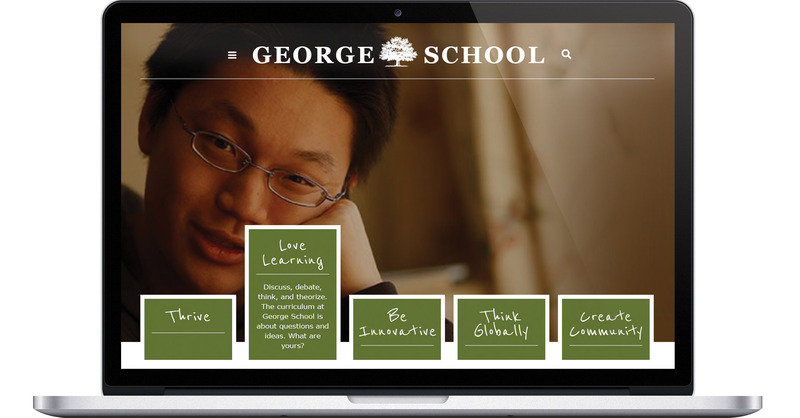 George School, located in Newtown, Pennsylvania, is a boarding school rooted in the Quaker tradition. 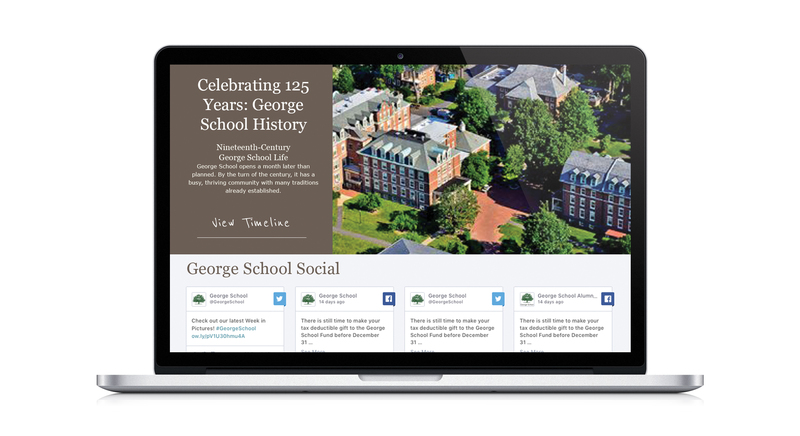 As their primary international marketing tool, the school’s website needed a refresh to appeal to a younger, web-savvy audience. The visual look and feel that we developed for the site included a use of minimal navigation, bold, full frame photography, a rich color palette, interactive headers, and inviting infographics.